Download the app. Many people don’t know that the Memorial has their own app that you can download (for free!) on the App Store. It features a calendar of events, photos and descriptions of each hole, tournament trivia, a live course map, leaderboard and more. Run the FORE! Miler. 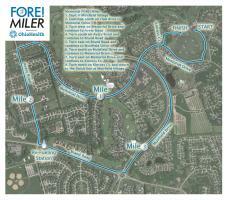 Not only is this a great way to get your exercise in before relaxing and watching the tournament, but you also gain entry to a post-race concert, receive a finisher’s medal and shirt, and get to see the beautiful area surrounding Muirfield Golf Club. Still not convinced? You’ll also receive a complimentary ticket to the Memorial Practice Round, Official Pro-Am and Memorial Honoree Ceremony. Here’s the link to register. 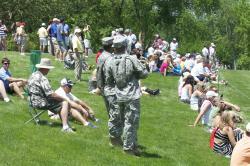 Attend Military Appreciation Day and Junior Golf Day. Are you an active, reserve, National Guard, retired or spouse military member? Then grab your military ID and immediate family and enjoy complimentary entrance to the Practice Rounds on Wednesday, June 1st. Kids under 18 also get complimentary admission with the purchase of an adult ticket. There will be a junior golf clinic at the Safari Golf Club at 5:30 pm that day as well. Park like a pro. Don’t waste time driving around figuring out where to park once you get there. Plan ahead! The Memorial website specifies which streets allow on-street parking and where designated tournament lots are. Handicap parking will be at the Columbus Zoo with a shuttle provided. Leave the tote bag at home. As tempting as it is to bring a purse that can hold just about everything other than the kitchen sink, don’t do it! You won’t be allowed in the tournament. I made this mistake last year and had to walk all the way back to my car to put it away. Bring only what you need, and nothing else. You can thank me later. Read the official bag policy here. Don’t bother bringing a camera [Thursday-Sunday]. 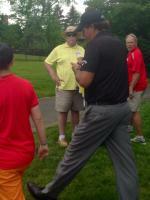 As tempting as it is to take pictures of the players and the course, try to refrain. No photography is allowed during tournament play Thursday through Sunday. No video cameras are allowed the whole week. Same with autographs. We know you will probably act like a 12 year old girl at a boy band concert, but at least wait until the player is done with their round. We recommend glancing over the list of policies and other prohibited items before you go. Keep the party going. 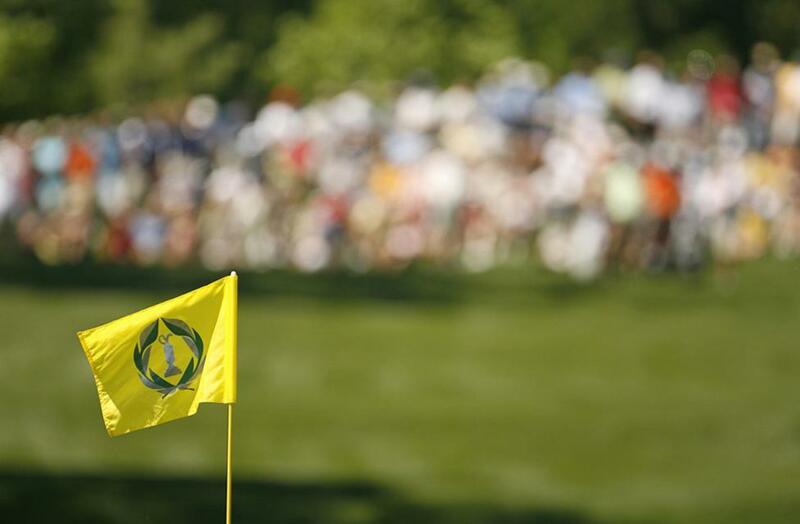 After the tournament ends, golf fanatics alike converge on nearby restaurants and pubs. Personally, we recommend the Bogey Bar & Grill. Besides the fantastic food and beverage menu, the joint also has sand volleyball courts and live music June 1-5 during tournament week!